As I know from my own experience over the years, choosing the best computer audio system can be a challenging experience, especially if you don't want to pay more than necessary for the system that you need. There are some good options out there, however, by which I mean inexpensive audio systems that are capable of delivering a crisp and accurate mid and higher range, accompanied by a deep bass for a full sound. You won't get some super system for less than $50, of course, but you can obtain something that will meet most people's needs. Below are my choices, followed by detailed explanations and my experiences. I explain my experiences and choices in detail below. Power Output - Not only does this affect the maximum volume, but also the sound quality. A system operating close to its maximum is more likely to distort, so generally speaking, the higher the power output, the better, in terms of audio quality. 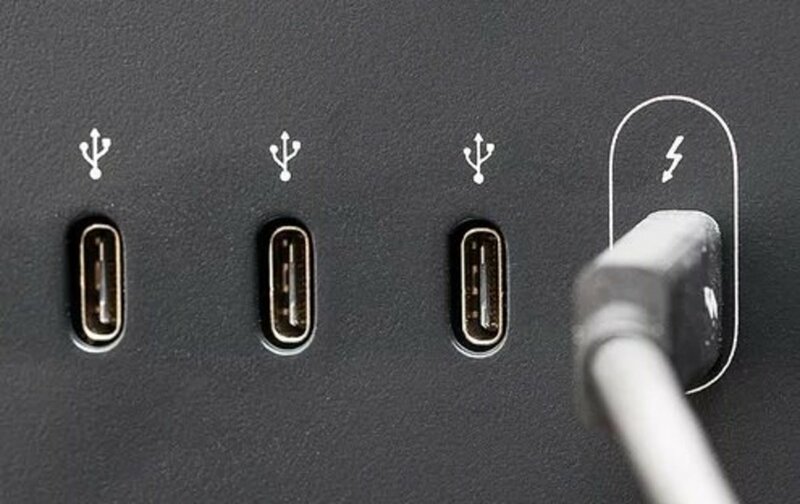 Connectivity - Most speaker systems are wired, which is to say that they connect up to your computer with a 3.5mm jack, or USB cable. 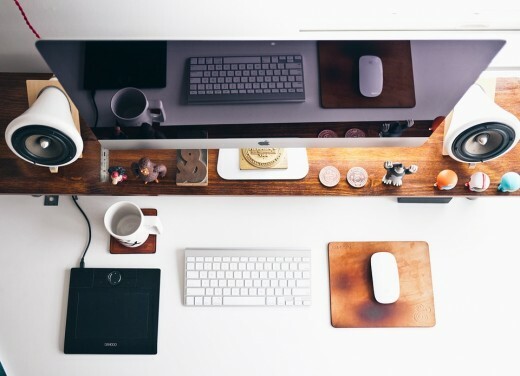 Some of the more modern systems are wireless, however, allowing you to stream from your computer or device using wireless technology such as Bluetooth. 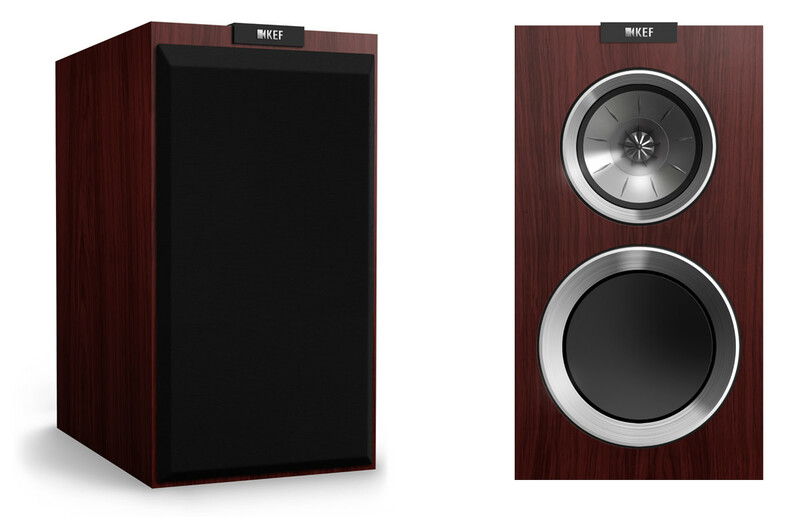 The Cyber Acoustics 30W (CA-3602A) is great for a small to medium-sized room. 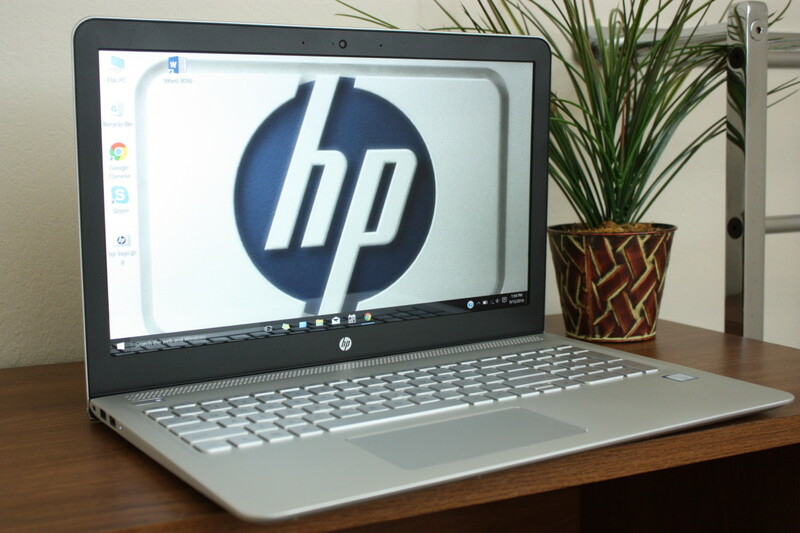 The system is available online for a very affordable price. I bought one of these systems for my bedroom several years back and it hasn't disappointed me. I use this Cyber Acoustics 30W system in my bedroom and it never ceases to impress me, especially when I consider the price I paid for it! I run the TV, computer, plus my iPhone through it and it delivers a very full and accurate sound for system in its price range. 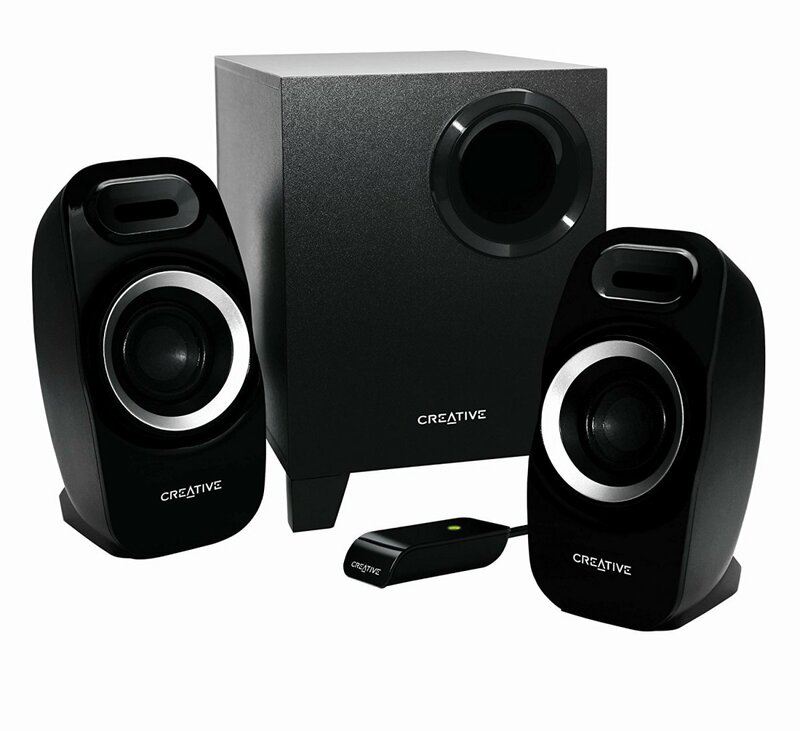 The Cyber Acoustics 30W (CA-3602A) consists of three-piece speaker system with two 2-Inch magnetically shielded satellite speakers and a 5.25-Inch subwoofer. For such a relatively inexpensive system, it is is pretty well built, with the sub housed in an acoustically balanced wooden cabinet. I've listed my pros and cons below. The control pod is an easy way to switch the system on and off, as well as control the volume and bass levels of the subwoofer and speakers. The control pod also has a headphone jack, which I use late at night when I don't want to wake my wife or daughter. There is also an auxiliary input for plugging in other devices which comes in useful sometimes. Relatively solid and durable, considering the main construction material is plastic. There is MP3 cradle, which I can sit my player in. Excellent value for money. I picked my system up for just under $45, which is a steal. The speakers are a little top heavy and the base isn't that big, making them easy to knock over. The 30W output is more than enough power for my (smaller) bedroom, but you would almost certainly want more for a bigger room. The Logitech Z523 speaker system. My favorite out of the three. 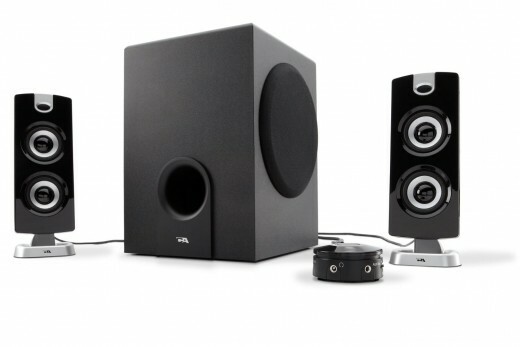 This system puts out more sound than most in this price range, and it's pretty accurate audio. I've had the Logitech for nearly a year and it works as well as the day I unpacked it. 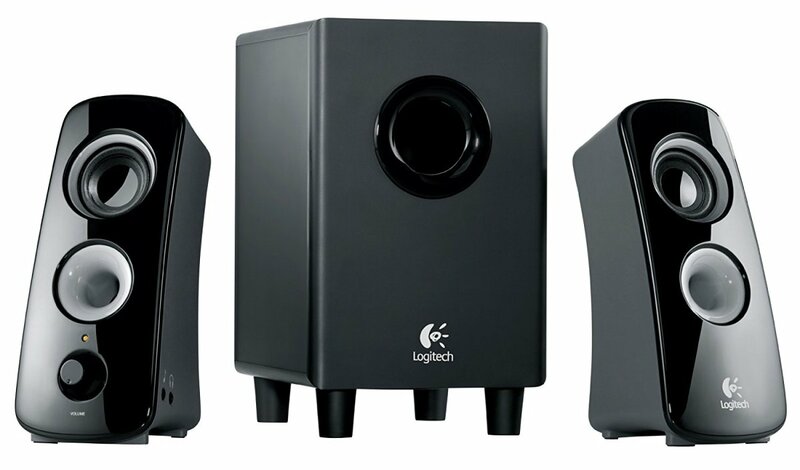 I'm currently using a Logitech Z323 speaker system in my home office. I've been a fan of Logitech for years when it comes to affordable speakers and this model has lived up to my expectations from day one. The system delivers 40 watts (RMS) of power for a full and pretty accurate sound. The sub is down-firing with a 6.5-in pressure driver. Below are my pros and cons. The sound quality is excellent for the price (I paid just over $45 online). The speakers have a little weight and rubber feet which makes them a bit more stable than most. System is easy to install and I've had no problems or issues since I bought the speakers a year ago. Independent sub controls let me set the bass to the level I want. Certainly an excellent buy for the home office computer, I would spend more if it was for watching movies or listening to music in a main room, though. The Creative Inspire T3300 51MF0415AA002. This 25 Watt 2.1 speaker system looks good and sounds good. The cables were long enough to make setting up my computer on the desk very easy and straightforward. I had this computer audio system in my home office for a time. The only reason I replaced it was because my daughter went off to college and I gave it to her to take. It's an excellent speaker and subwoofer set up for the price and I have no qualms about recommending it. Despite delivering just 25W it is surprising loud, certainly a big enough sound for my needs. 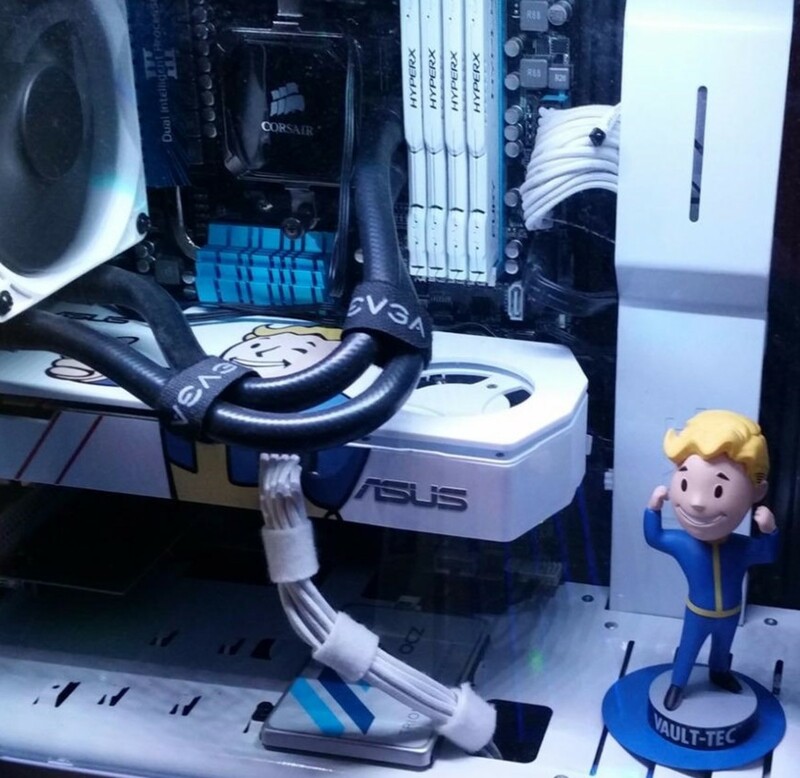 Straightforward to set up and long enough cables for a desktop. Subwoofer delivers punchy bass, given its compact size i was surprised by the power at first. Bass levels are easy and convenient to control. I liked the look of this system. On/off switch is combined with volume, so you can't just turn it on and off and leave it at a volume you like. Subwoofers fill out the low frequencies giving the sound output more depth. 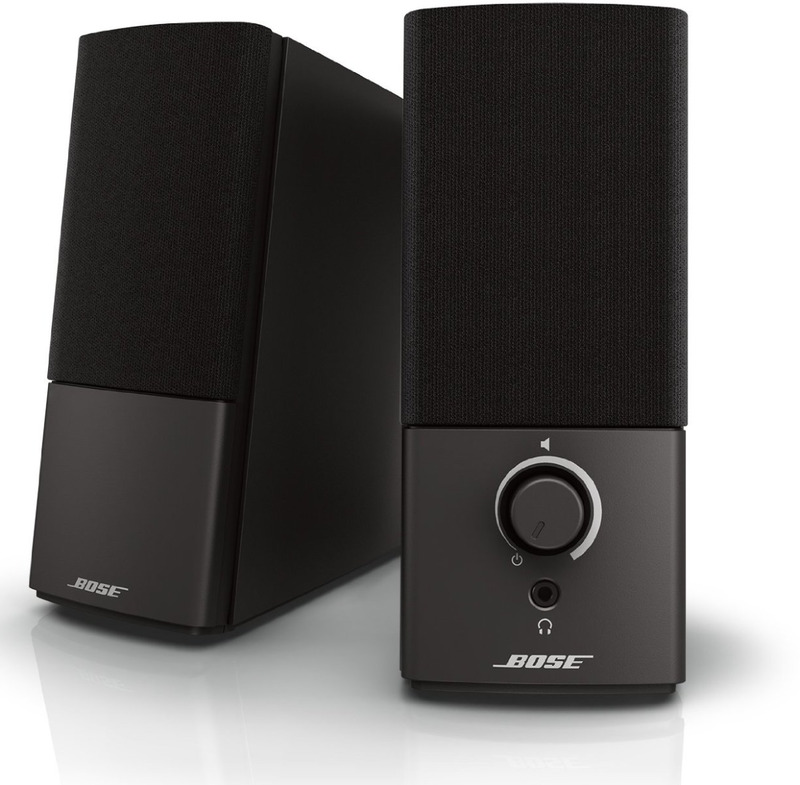 Small speakers generally output mid and high frequencies but limited bass, due to how they are designed and function. Both music and movies sound much better, closer to how they were intended to be experienced with a full sound. Why do I care if a speaker has a subwoofer? Is there a large quality difference between speakers at a similar price range if they have/don't have subwoofers?